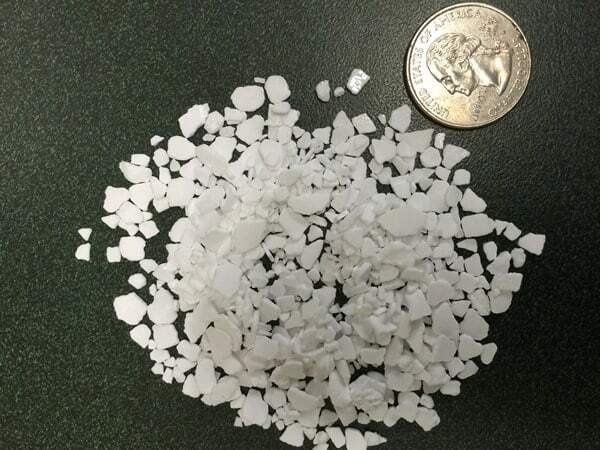 DOWFLAKE™ Calcium Chloride Flakes are a concentrated 83-87% calcium chloride (CaCl2) flake ice melt product containing 10% more calcium chloride than conventional or imported 77% assay flake CaCl2 products. This higher concentration allows users to take advantage of the high performance ice melting capabilities of calcium chloride – it releases heat to jump-start ice melting, melts ice at lower temperatures, and melts ice faster which is outstanding for our snow removal customers battling ice in Washington DC, Baltimore, Virginia, Delaware, Pennsylvania and West Virginia! 10% more calcium chloride (CaCl2) than other conventional 77% flake products. Concentrated formula so less is required per application. Melts ice faster in wider temperature ranges. Works in a variety of settings from road ways to pedestrian entry ways. The flat shape of DOWFLAKE™ flake enables them to sit and adhere to surfaces under extreme conditions. 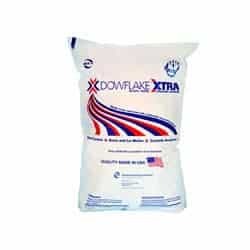 In addition to its advantages as a stand-alone deicing product, DOWFLAKE™ Xtra may also be incorporated in blends with rock salt or abrasives where its potency can speed ice melting, improve cold weather performance and assist in the effective application of these ice melt chemicals. DOWFLAKE™ Xtra can also be used to prepare liquid solutions of calcium chloride for anti-icing and deicer sprays. When DOWFLAKE™ Xtra calcium chloride flakes (CaCl2) are applied, the reaction that creates brine also generates heat, making the flakes exothermic and more effective at colder temperatures than other deicer products. Other ice melt products are endothermic and only draw heat from the outside.